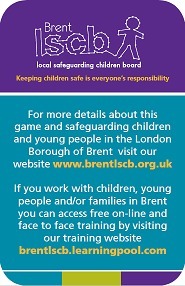 Brent Local Safeguarding Children Board has developed some safeguarding children resources. 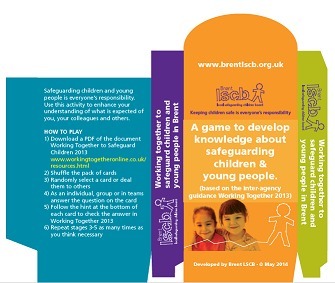 These resources have been developed to raise the awareness of what to do if someone has a concern that a child may be at risk of harm in Brent. To view and download electronic versions of our resources, please select and click on the images below.